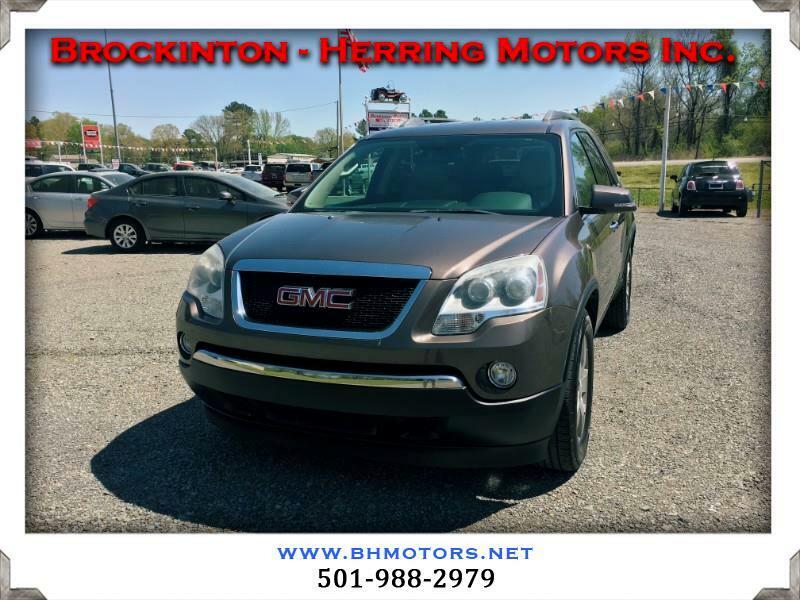 Used 2010 GMC Acadia SLT-1 FWD for Sale in Jacksonville AR 72076 Brockinton - Herring Motors Inc. This 2010 GMC Acadia would make a great family vehicle with it being equipped with two headrest DVD players and 3 row seating. It's competitors include the Honda Pilot, Dodge Durango and Ford Explorer so if you're interested in one of those vehicles, be sure to give this one a chance too.